In the third of our mini-series of blogs looking at small cell deployment challenges, we show how you can gain easy access to thousands of qualified sites across the world. Identifying the right location for small cells in cities is a common operator concern. Chances are the sites are spread across a multitude of owners – municipalities, utilities, transport companies, shopping centers and a host of others. To get the sites, you probably have to deal with dozens of site owners, each with their own restrictions and expectations. It all adds up to long delays and high costs. But what if you had a lengthy menu of pre-qualified sites to choose from? What if the small cell infrastructure were already assessed and approved for deployment at the sites? And what if the certified engineers needed for deployment were readily available on the ground to provide the necessary support? Not only would your site acquisition and deployment costs fall, but the roll-out time of your small cell network would be much shorter. To bring a new, simpler way of working to operators, Nokia Networks has addressed these ‘what ifs’ by entering into commercial discussions and agreements with organizations that own a variety of street furniture. These include advertising agencies, a popular fast food chain, a premium beverage retailer, utility companies and more. The street furniture incorporates panels that act as qualified sites with power available and which are already in the areas where people congregate – transport hubs, shopping malls and entertainment venues. Through Nokia Networks, these sites can be made available to deploy small cells. Working with these organizations, we ensure our Nokia Flexi Zone small cells can be fitted easily along with site solutions and without major civil works. Besides ease of fitting, these units are also designed with camouflage to blend them in with the surrounding environment and thus remain unobtrusive. The fact that the Nokia Flexi Zone product itself is the smallest form factor small cell unit on the market also makes it the leading contender to take advantage of these site opportunities. This photo was taken at Barcelona Mobile World Congress 2015, shows an example of a camouflage enclosure that can house the Nokia Flexi Zone access point, microwave backhaul – and if needed, can be expanded to include additional equipment such as a battery backup unit (Nokia Nano BBU). The enclosure itself can be wall or pole mounted, is designed to minimize the attenuation of RF signals, and can be matched to the surrounding environment (a red brickwork pattern is used here). Going a step further, Nokia Networks has built a huge bank of verified sites through its Nokia HetNet Engine Room service for the US market. The Nokia HetNet Engine Room uses detailed 3-D street level maps and other tools and data to create a Site Value Index that provides an easy comparison of benefits versus costs for each site. This helps operators forecast the costs of a specific site location and its ROI leads to 30% faster small cell deployment and typically 20% lower costs. While small cell site acquisition presents a challenge because of the large volume of sites required, it is also an opportunity to leverage existing infrastructure and launch a robust network of small cells speedily and efficiently. 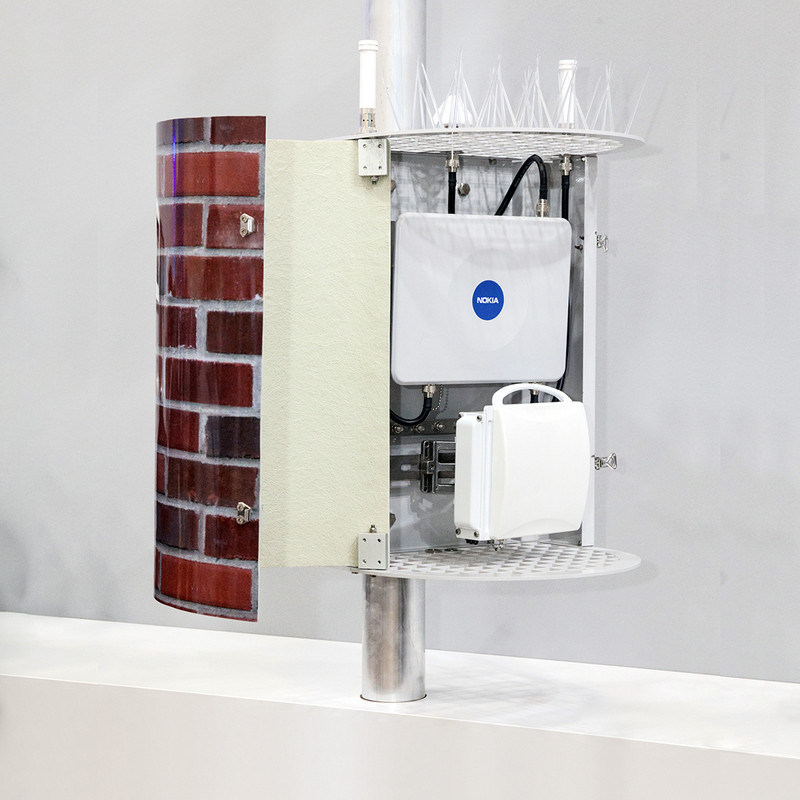 In our next blog, to be published on October 16, we’ll be looking at a further piece of the small cell puzzle – backhaul. Mark your calendar! For a helicopter view, check out our Small Cells infographic and Services for HetNets infographic and visit our Services for HetNets webpage. Please share your thoughts on this topic by replying below – and join the discussion with @nokianetworks on Twitter using #NetworksPerform #mobilebroadband #smallcell #HetNets #Services.